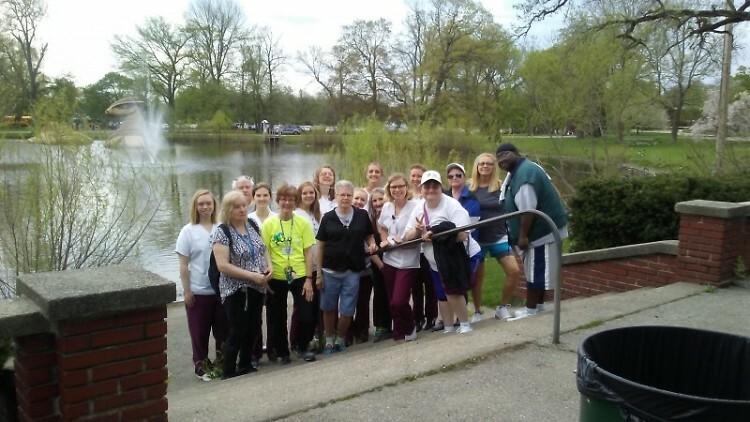 A group from Dégagé Ministries faithfully trained for their annual walk in the Fifth Third River Bank Run that was held on May 12. Many of these ladies persevered through physical challenges, but each one accomplished her goal! A group of women faithfully trained for their annual walk in the Fifth Third River Bank Run that was held on May 12. Many of these ladies persevered through physical challenges, but each one accomplished her goal! Not only is this walk an annual accomplishment, but the walking group has helped the women overcome obstacles in their personal lives. No matter the reason, the women are thankful for the friendships and healthier lives they are living. We are so proud of our women for accomplishing this goal in the midst of the challenges they face.